Coffee Talk Topic: Fighting Fear with Fact Have you ever thought that someone didn’t like you simply because they didn’t respond when you expected? Maybe they didn’t return a smile toward you while walking by. When this happens, do you internalize the worst possible scenarios and put yourself down or wallow in self-pity? Do you create reasons to believe this person is not a good person? Even worse, do you gossip about this person and sabotage any potential relationship all because you think they don’t like you? Guess what, thoughts are not facts! What we think about things or people or circumstances, is often based on our perception, but not always based on fact. In many cases, our thoughts are based on our fears. When this happens, we must fight fear with fact. Host Brandee Nielsen shares 7 Unity Values based on scripture that can help set you free from thought traps! 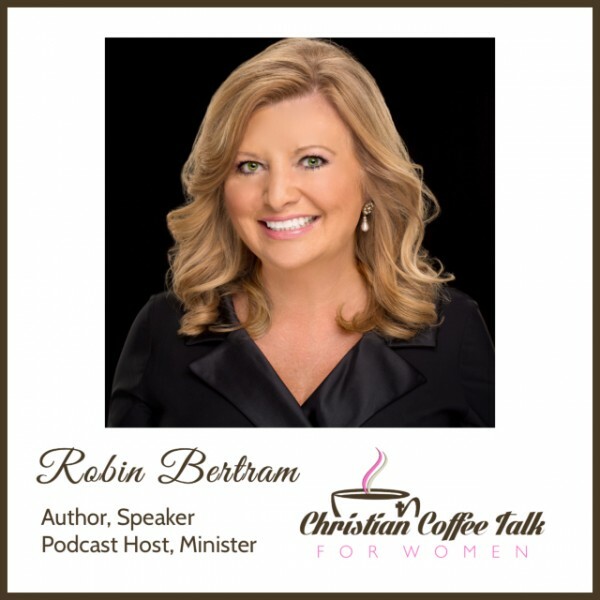 Featured Guest: Robin Bertram Robin is an author, a seasoned conference speaker, and host of the nationally syndicated television program “Freedom Today.” Robin brings a wealth of knowledge and experience to women’s platforms across the country. Her straightforward approach and in-depth biblical insight is healing hearts and transforming lives. In this episode, Robin talks about a critical subject that doesn’t get enough attention within our Christian communities. Her latest book, Hidden Treasures, Finding Hope at the End of Life's Journey, addresses people facing life-threatening diseases, terminal illness, and the long-term care of elderly parents. LINKS FROM THE SHOW Connect with Robin at www.robinbertram.tv Subscribe to the Christian Coffee Talk Podcast on iTunes Podcast, Google Play Podcast, iHeartRadio, TuneIn, and Stitcher. Join our growing Online Community where you can connect 24 hours a day, 7 days a week, 365 days a year! Check out our theme song, Jesus Kind Of Love by wwwNateJacksonMusic.com.